During the summer and fall of 2012, Universal decided to issue new Blu-Ray editions of two Steven Spielberg classics, Jaws (1975) and E.T., the Extra-Terrestrial (1982). 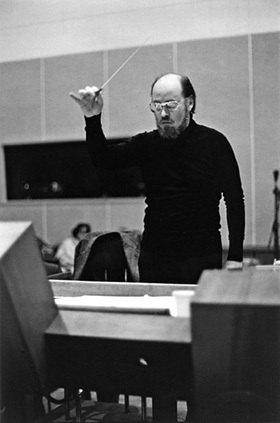 To help promote both, they asked me to interview composer John Williams — who won Oscars for each — about his memories of writing those now-iconic themes and scores. It was, as always with John Williams, a pleasure to interview him. We discovered photos from the period, too. The Jaws piece is here; the E.T. reminiscence is here.